Last Wednesday night was our first night in our new apartment. Thankfully, Mr. L had built our furniture and made sure it was ready for us to live in. 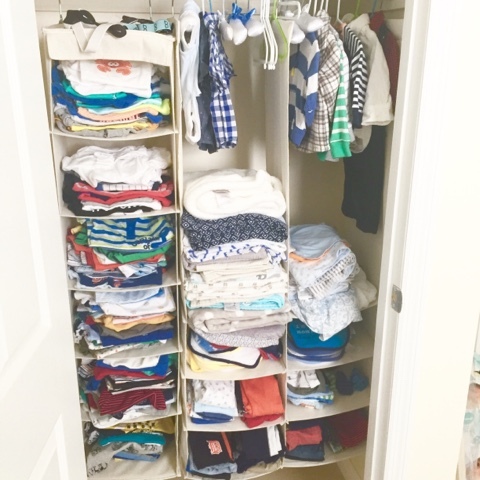 My main priorities were putting the baby's bassinet together, washing all of his clothes and setting up his closet. I wanted to make sure we are (as) ready (as we could be) for him. Then, I packed our hospital bags. I already know I overpacked for him but that's not surprising and it will probably be like this forever. We have started to decorate the apartment to make it feel like our space but I know it might take time to put all my ideas to fruition. 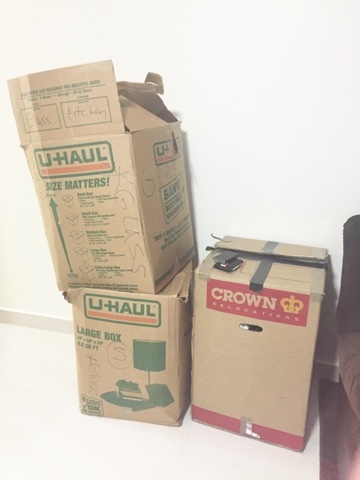 For now, these boxes must be sorted through and unpacked. Moving at 37.5 weeks pregnant wasn't easy but it's worth it knowing we have so much extra space for our little family of three. It seems we're both nesting and anxiously awaiting our little's arrival!